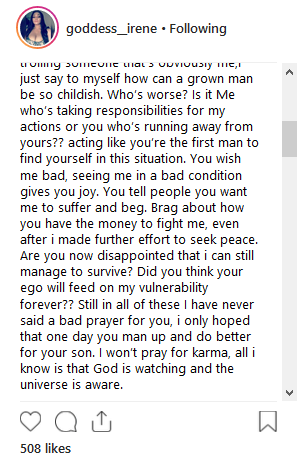 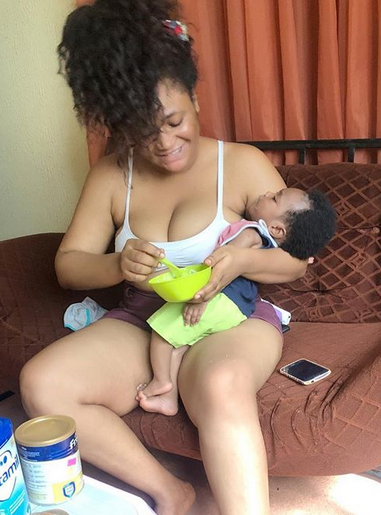 Former IG's son, Jamil Abubakar is getting called out again by his alleged babymama Chiamaka. 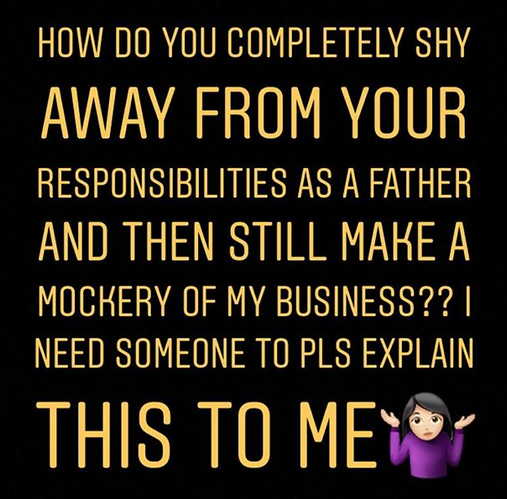 Chi who is now into beauty products (sells cream) says Jamil has not been responsible for the upkeep of 'their' son and yet he has the guts to mock her on snapchat for selling cream. 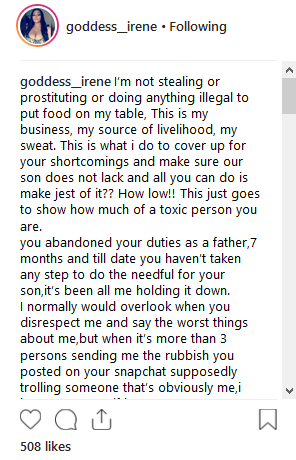 Chi who obviously got upset because of this claim, took to her IG and called the former police boss' son out.... She said alot... read below.